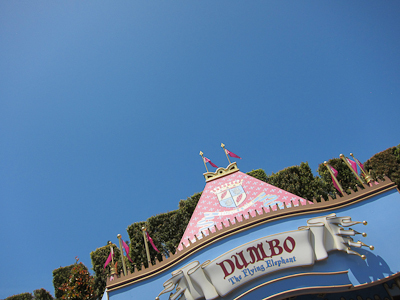 Dumbo–Elephants Fly And So Can You! 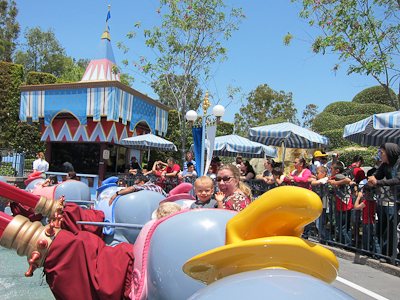 Dumbo is one of Disneyland’s truly iconic rides. 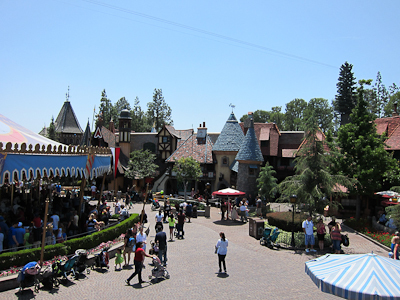 It was my favorite ride as a child and I still love it today. Dumbo really only has one issue. 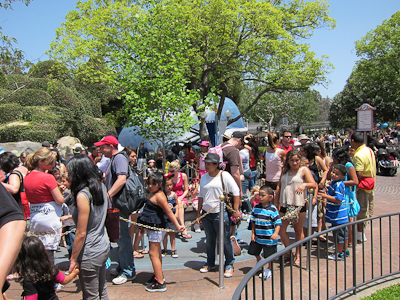 Dumbo is a great ride, but since it loads to capacity, runs, then loads to capacity, runs again, and so on, those big gaps can create a backup in the line. 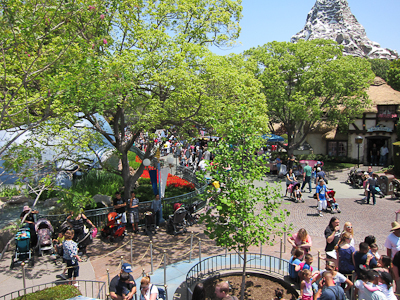 It is very satisfying, however, when the line does move, because you get to go forward a whole chunk at a time. It’s like when you’re sitting in traffic and then all of a sudden you can go 2 more car lengths and you’re like “Woo hoo! Progress!” And then you stop and sit there again. 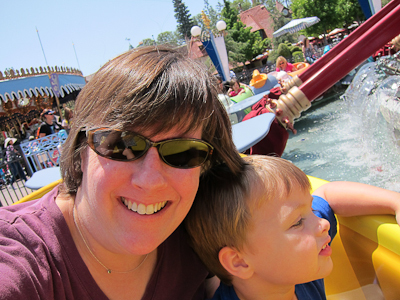 Anyway, Dumbo is one of Theo’s favorite rides, so when we met up with friends at the park, he insisted on going on it first. 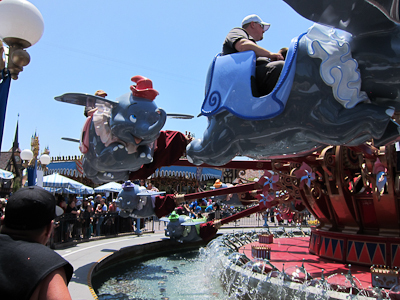 Dumbo is, of course, flying elephants. 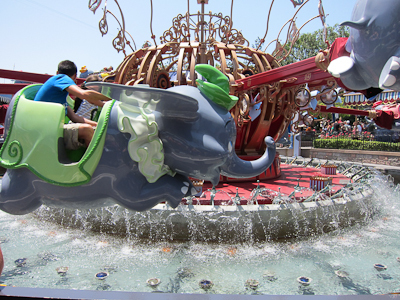 The expression on Dumbo’s face is pure joy, despite the giant metal arm stuck in his side. 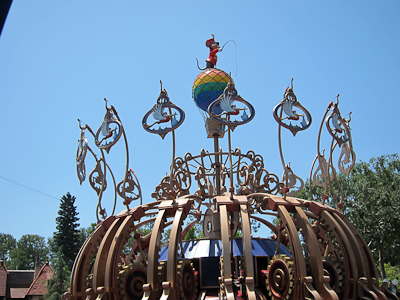 Your Dumbo circles around a circus thing above a water thing. 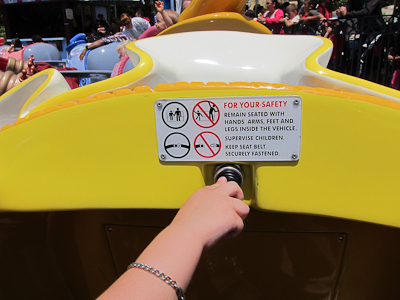 Inside your Dumbo is a handle. Push it up and your elephant goes up. Push it down and your elephant goes down. It was just recently that Theo realized you could actually push it in one direction and hold it there and go higher or lower. 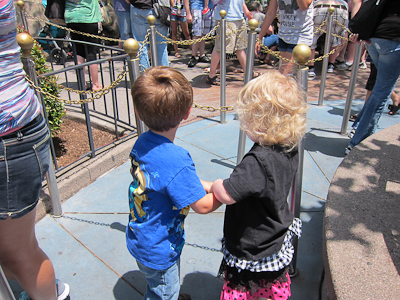 Up to this point, he’s just yanked it up and down and you ended up bouncing along feeling a little sick. Phoebe’s mom and brother were in the Dumbo right in front of us! As you spin around, photography can be tricky. Especially when you get bumped right as you’re about to snap the shot. Once your Dumbo starts flying, you actually are higher than you thought you were going to be when you were waiting on the ground. Great pictures to be had here. You can also take a minute for a self-portrait. 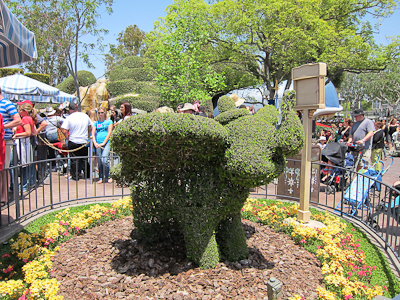 And other decorations abound, like this topiary Dumbo.